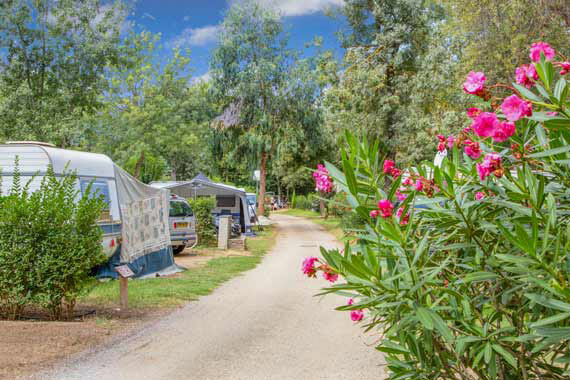 Fans of traditional camping will find at camping les Pins in Argelès sur Mer, a pretty natural setting where they can pitch their tents or install their camper vans and caravans. The pitches are spacious. Because it is nestled in a green estate, at the foot of the Albères massif and a few steps from the Mediterranean, it will be a real paradise for holidays as close as possible to nature, with your feet in the sand. It invites holidaymakers to camp between the sea and the mountains and offers a certain comfort. An ideal place for lovers of wide open spaces and traditional camping. 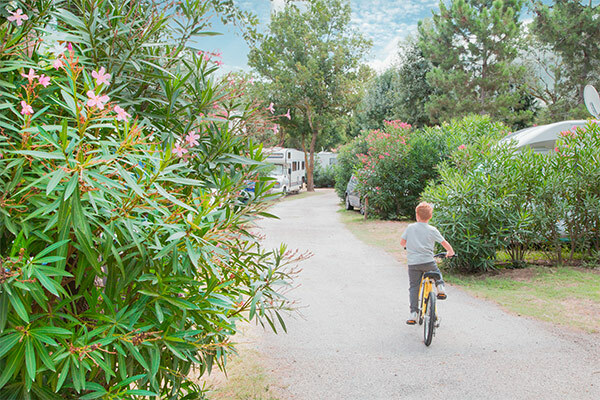 Campers in tents will be delighted to stay at Les Pins in a calm and peaceful atmosphere. You will be able to spend an authentic and relaxing holiday as close as possible to nature. The average size of these camping areas is 90 m². Very comfortable sanitary facilities are available near the pitches. There are also heated and adapted PMR toilets. Many other services such as a snack bar, a hairdresser’s salon, an beauty salon, a laundry area, etc…. will be offered to you. Your camper van or caravan is also welcome at the caravanning areas of Camping Les Pins. Not only are they spacious, but they are delimited by hedges. The campsite offers a 6 Amp electrical connection. In order to simplify your stay as much as possible, there is also a service area for motorhomes within the campsite to fill up with drinking water and drain waste water. Whatever the accommodation chosen, all holidaymakers can access the structures and services offered by the campsite such as access to the heated swimming pool, recreational and sports areas, entertainment…. An unforgettable holiday for a weekend or a week of outdoor holidays in the Pyrenees Orientales at Camping Les Pins!